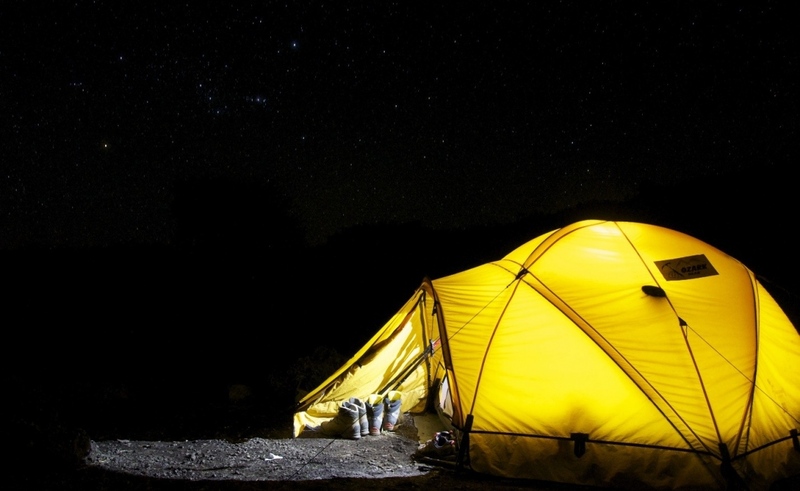 Bell tents are now the most talked about camping accessories over the internet. They definitely have become popular recently but buying a bell tent can be challenging – thanks to the overwhelming choices out there. Whether you purchase a white bell tent or a funky rainbow style, they certainly have a hint of the hipster fashion to it. Honestly speaking bell tents are extremely easy to set up, while inflatable tents require more time than them. If you follow the instructions carefully, then a canvas tent also proves to be durable. Perhaps the biggest advantage of buying a bell tent is the ability to set up a wood stove inside it. If you want to convert your bell tent for this purpose, then you first need to fit a flashing kit to it. This might seems like a lengthy process but, but it comes very handily while camping in cold weather. However, you need to take all the precautions when setting up a wood burner if you’re camping with kids and pets. Wood stoves are made from cast iron and are extremely heavy, make sure you consider the size before making your big purchase. Carry a carbon monoxide alarm, a small fire extinguisher and a pair of gloves with you on your trip. Bell tents are readily available in different sizes, colors, and patterns that suit the choice of every individual. One of the main reasons to purchase them is that they can be set up and taken down in no time at all. The interior space of a bell tent is more flexible and spacious as inner tents can also be set up according to your needs. Bell tents are excellent in summers as the sides can be rolled up to let air pass through. A large amount of floor space also comes useful in accommodating many people. The traditional bell tents are perfect for all events and are available in an immense variety of colors. They have a 2m high door fixed with wooden frames along with reflective guy ropes that allow you to walk in straight without bending your back. The classic bell tent also has ‘mesh windows’ to keep out the insects and zipper windows and keep the tent ventilated. These traditional tents are available in multiple sizes which makes them ideal for single campers, small families as well as large groups. The star bell tent is a modern take on the traditional tents. The design is improved by adding a front canopy which provides stability and rigidity to the entire structure. The guy ropes are replaced with heavy-duty webbing, making it durable in bad weather and tough terrains. The added feature of the canopy surprisingly increases the space of the tent too. The traditional bell tents usually have an integrated canopy that serves as an added front porch where you can take off your shoes, enjoy your evening tea or the rain. The stat tent, on the other hand, contains a 360-degree netting to make campers feel more connected to the outside world. Regardless of the type of canvas bell tent you choose, you are guaranteed to fall in love with your purchase. If you haven’t bought one until now, this is the perfect time to add a durable bell tent to your list of essential camping gear.